After launching their PLAY application on Android some time ago, AOL have now launched a new iOS version for the iPhone, iPod and iPad marketing it as an “Instagram for music” app. AOL’s new PLAY application for iOS allows you to share musical moments with friends and find new music and enabling you to listen to your own music on your device, or stream SHOUTcast radio, CD Listening Party, MP3 of the day, and more. There are currently over 47,000 SHOUTcast radio stations to choose from music can easily be shared thorough social networking sites such as Facebook and Twitter. When sharing over Facebook and Twitter the application gives you the choice to include the default album artwork or a photo of your choice. 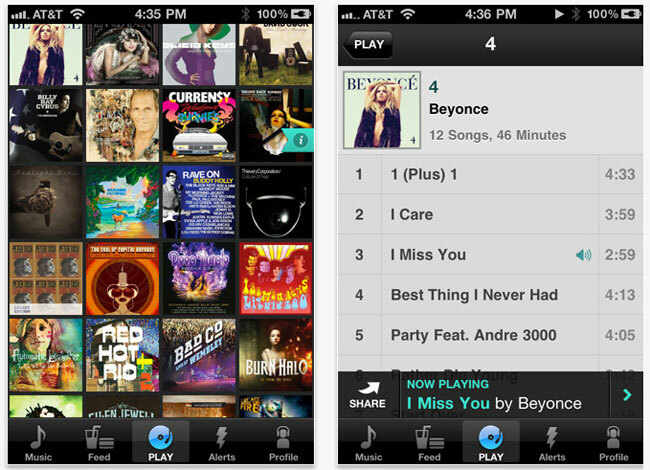 You can now download the new AOL PLAY iOS application from the Apple iTunes Store for free.